To read John Owen on the doctrine of the atonement is to encounter a unique exercise in biblical theology being channeled through rigorous reason. In The Death of Death Owen’s full rhetorical and logical prowess is on display. He handles the opposing viewpoints of his theological interlocutors with sincerity, but also with a rational severity which renders much of their argumentation weakened. His positive statement of the case for particular redemption is no less impressive, as the author enlists the whole gamut of redemptive history to bolster his case that Christ died for the sins of his people. In this article I want to highlight a particularly striking, and yet less widely sounded, note from The Death of Death. One of Owen’s great skills is to extrapolate a patently biblical teaching, showing how it works when taken to its logical conclusion. In this case it is the priesthood of Christ Jesus which comes into view, and through this prism Owen makes the case that Christ must be the whole Priest for his whole people, or he is no priest at all. This may sound self-evident on a first pass, but consider (as Owen does) the logical implications of this, and particular redemption comes sweeping into view. The key question which Owen is teasing out is does Christ intercede for all people, or merely for his own people, and if for his own people only, then does he intercede for fewer souls than those he redeems? In other words, is Christ’s a divided or at best lopsided priesthood where he atones for all but only prays for some? The grist for this particular argument obviously emanates from John 17. There Christ Jesus in his high priestly prayer asserts in verses 9-10 that ‘I am praying for them. I am not praying for the world but for those whom you have given me, for they are yours. All mine are yours, and yours are mine, and I am glorified in them’. From this basis Owen asserts that the only orthodox position to adopt is that Christ intercedes for and offers himself for the elect in a particular and discerning way. 1. The Scriptures unite Christ’s oblation and intercession: Isaiah 53:11 teaches that ‘He bore the sin of many…’ and that he ‘made intercession for the transgressors’. Holding up the truth of Christ’s self offering and his perpetual prayers the author states, ‘here is an equal extent of the one and the other; those persons who are concerned in the one are all of them concerned in the other’. 2. To offer and to intercede, to sacrifice and to pray, are both acts of the same priestly office, and both are required of him who is a priest: 1John 2:1-2 assures the believer that ‘if any man sin, we have an advocate with the Father, Jesus Christ the righteous, and he is the propitiation for our sins’. Owen writes, ‘both these are acts of the same priestly office in Christ: and if he perform either of them for any, he must of necessity perform the other for them also’. 3. The nature of Christ’s intercession pleads for its unity with his oblation: Christ’s ministry of intercession is not strained or a mere set of holy aspirations for a people to whom he is favourably disposed. Rather, Christ’s intercession is real, he presents himself on the behalf of his people, and in so presenting himself he is interceding his work on the cross for them. Owen can say that Christ’s intercession is ‘nothing, as it were, but his oblation continued…it is nothing but a continuation of his oblation in postulating, by remembrance and declaration of it, those things which by it were procured’. 4. Christ’s oblation and intercession are directed to the same goal: the basis for Owen’s teaching here is the covenant of redemption (see Carl Trueman’s excellent treatment of this in From Heaven He Came and Sought Her), wherein Christ has undertaken with the Father to redeem a people. So Christ’s intercession is according to covenantal promise – ‘the intercession of Christ, then, being founded on promises made unto him, and these promises being nothing but an engagement to bestow and actually collate upon them for whom he suffered all those good tings which his death and oblation did merit and purchase, it cannot be but that he intercedeth for all whom he died’. 5. Christ has placed his oblation and intercession together in union, and we are presumptuous to divide them: Christ’s own description of his fulfilment of the office of High Priest is that he will offer and intercede for his people. ‘He did then perfectly offer himself, in respect of his own will and intention, as on the cross; and as perfectly intercede as now in heaven’. 6. To divide Christ’s death and intercession is to cut off all consolation to any soul which might seek assurance in Him: for Owen general redemption is ‘an uncomfortable doctrine’ which cuts ‘all the nerves and sinews of that strong consolation’ which God grants in the gospel to the believer. By Christ’s death he has secured salvation for us, and by his intercession he procures that they will actually be bestowed and enjoyed by the believer. In soaring prose Owen concludes, ‘he rests not in his death, but he will certainly make intercession for them for whom he died: and this alone gives firm consolation. Our sins dare not appear, nor any of our accusers against us, where he appeareth for us’. 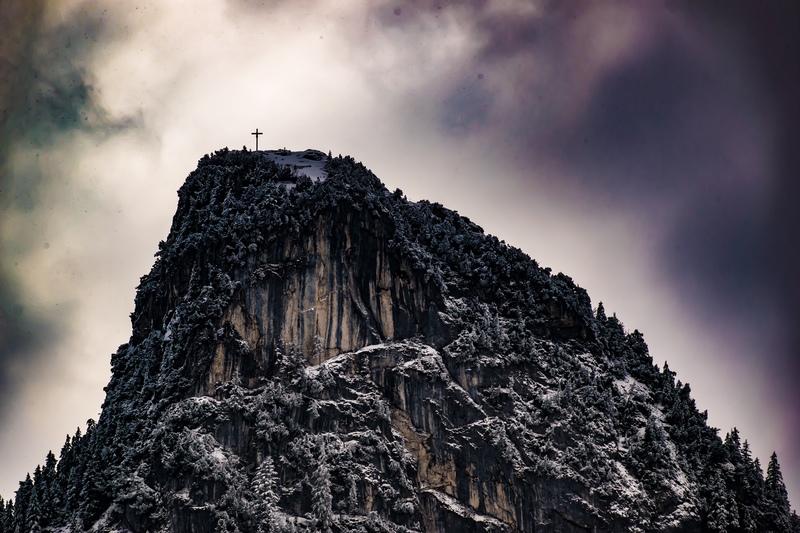 For Owen the intrinsic connection between Christ’s oblation and his intercession means that comfort, consolation, assurance can only be enjoyed by the believer when they understand these are complementary components of their redemption. If it is conceded that died for all with no reference to election, then he must intercede for all and find his priestly prayers unanswered, and that in direct contravention of his own assertion in John 17:11. One must stand back and marvel at the peculiar theological genius which so understands Christ’s office as Priest to make it a correlative of how we understand his suffering, and the extent of his atonement. © Andrew Roycroft and Thinking Pastorally, 2016-19. Excerpts and links may be used, provided that full and clear credit is given to Andrew Roycroft and Thinking Pastorally with appropriate and specific direction to the original content.